Acupuncture treatments are enjoyable, relaxing, safe, and extremely effective in the treatment of many common and unusual medical conditions. Please call (203) 693-3425 to schedule an appointment or use our online scheduling system. Once you receive your ID and Password for online scheduling you can use this account to complete your first visit form and verify insurance benefits. Fertility, IVF, and acupuncture are a fascinating medical study. My patients consistently report an increase in the number of eggs when combining acupuncture and IVF. The work I have done with IVF patients is very helpful in proving how and why acupuncture helps women become pregnant with using acupuncture alone. I contribute my high success rate to my training in classical acupuncture. In the United States many women planning In vitro fertilization (IVF) seek acupuncture treatment because many studies, including my own, shows Acupuncture when combined with IVF will greatly increase your chances of starting a family. 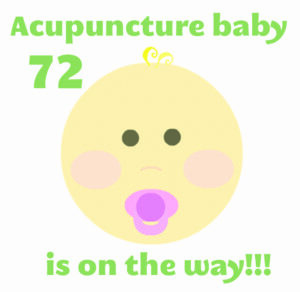 A now famous German study which was published in the American Society for Reproductive Medicine, was one of the first studies to conclude that woman combining acupuncture with IVF are more likely to get pregnant. Since the release of the German study, the number of woman combining acupuncture and IVF has greatly increased. Chinese acupuncture treatments are great at resolving stress related illnesses. Any illness or weakness in the body can be caused or exacerbated by stress. Acupuncture specifically targets the affected systems even as the acupuncturist takes a holistic approach to treatment. Our treatment of addiction focuses on giving you short term success with a long term plan and approach. We also recommend that you receive periodic treatments after you stop smoking, drinking, overeating, and drug use. We offer 3 basic programs to help you stop Smoking, Drinking, or Drug use. What makes our approach different? We make the process fun and relaxing. You will feel increasingly better as you move thru the program. Acupuncture can be used to treat severe morning sickness. There are 2 basic patterns for the treatment of Morning sickness in Chinese Acupuncture. Morning sickness is defined as nausea and vomiting, occurring during the first four months of pregnancy. I like combining acupuncture with Connecticut (CT) Organic products when treating certain types of illnesses. Organic means “hold the pesticides and unnecessary drugs in my food please.” It means your food was strong and healthy enough to survive in nature. Organic means fewer pollutants in the air and drinking water. The land used to grow organic food must be free of banned substances for 3 years before it meets the Organic standard. needle and greatly enhances the treatment for certain conditions. Duke University Medical Center conducted a research study on the effectiveness of acupuncture to reduce nausea and vomiting after surgery. Acupuncture speeds patient recovery from surgery. We allow healthcare providers to list their web site and contact information on our web site free of charge. We are not recommending these healthcare providers, but because healthcare is too big for any one person, it seems appropriate to allow other providers to list their contact information on our highly visible web site. Patients with chronic conditions, requiring monthly treatment and those who enjoy the wellness benefits of acupuncture can purchase our office CHS Life membership. Our office wellness plan can be purchased at the office and managed via the CHS Life web site. The symptoms of ADHD and ADD have been defined as a child’s or adult’s inability to stay focused, frequent difficulty completing tasks, with feelings of frustration and/or anger. As a parent and an acupuncturist, I urge all parents with children suffering from ADHD or ADD to try acupuncture. It is my belief that these disorders are caused by what is commonly referred to in Chinese medicine as internal heat, liver qi stagnation, and kidney yang repletion. I have treated Brachioradial Pruritus successfully with acupuncture. This web site contains information about the traditional acupuncture face life. The recommended course of treatment for the acupuncture face lift is 12 to 16 weeks. We combine our face lifts with facials and other modalities to restore beautiful skin tone.